As you all aware the government of Ethiopia demolishing and distracting the monastery of Waldba which is located in northern part of Ethiopia. This monastery had established more than 1600 years ago and filled with more than 3000 monks and nuns who reside in this monastery with praying for the wellbeing of the world. 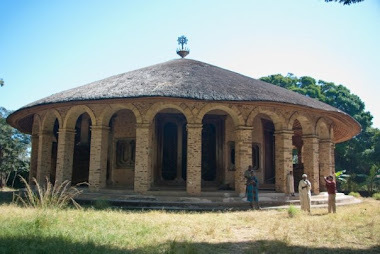 Above all this monastery is full of ancient Ethiopian history and contribution of Ethiopia for the rest of the world. The government of Ethiopia, wants to build a sugar factory and public recreation park at this very place, the people of Ethiopia is against it, the whole world against it that is why The Ethiopian Orthodox Tewahedo Church Save Waldba International Coalition Temporary Committee called this peaceful assembly all over the world at the same time. 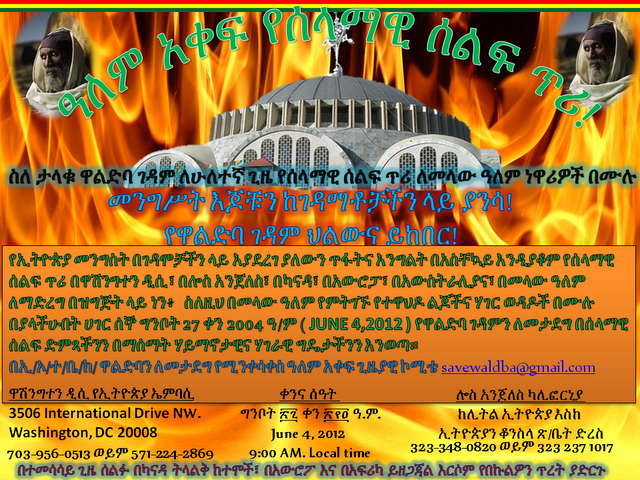 We would like all of friends of Ethiopia to help us reach as many people as possible for this cause and put pressure on to Ethiopian Government until they respect the voice of the general public. We appreciated for your cooperation, if you may have any question, send us an email. We would be very happy to explain at any time. የብዙ ሊቃውንት መፍለቂያ፣ የታሪካችን መገለጫ እና ለደካሞች ማረፊያ የሆነውን የቅዱስ ዋልድባ ገዳም እንታደግ!